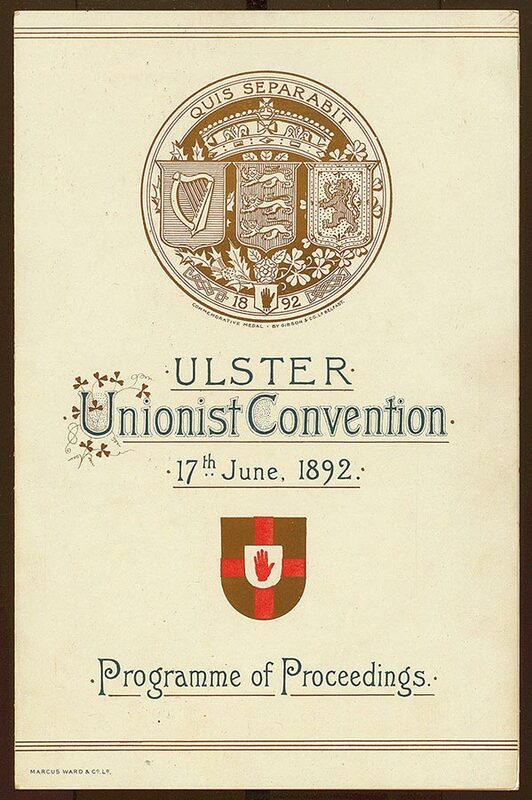 On 17th June 1892, 12,000 delegates (elected by Unionist associations across the country) met in Botanic Gardens in Belfast to show their opposition to Home Rule. With a general election later in the year, Ulster unionists feared that if the Liberals got back into government, Home Rule for Ireland would be a real possibility. Their objections to Home Rule were both economic and religious. Protestant industrialists feared that a Dublin parliament would be dominated by farmers who wouldn't have the knowledge or competence to govern industrial Ulster. They also felt a Dublin parliament would have a huge Catholic majority, and the belief was that 'Home Rule equals Rome rule'. 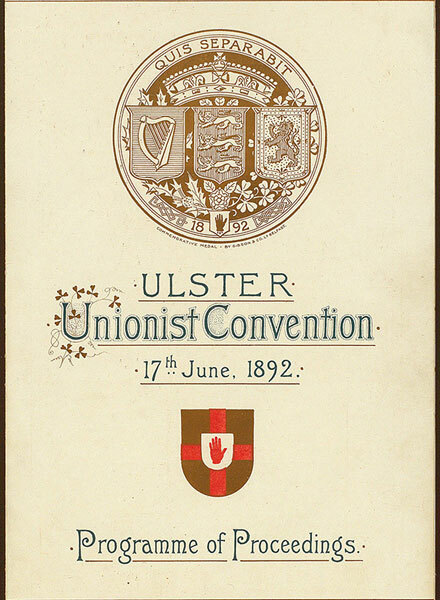 Cover of the programme of Ulster Unionist Convention.